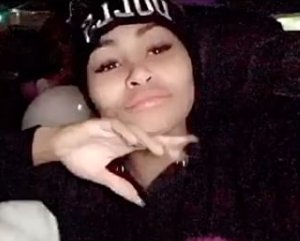 Last month Blac Chyna and Rob Kardashian were spotted on a dinner date at paparazzi magnet Tao in L.A. sparking rumors the estranged couple were trying to work things out [click here if you missed that]. This week Blac Chyna celebrated her 29th birthday with a small dinner party and Rob Kardashian was no where to be found. Instead Chyna partied with her mom and a small group of friends. They are not together, why should he show up.